If “Buy my first home” is at the top of your list of life goals, here are 4 tips to getting those papers signed and having the keys in your hand. Your credit score is one of the main factors that determines whether you get a loan to purchase your home – and what interest rate you’ll pay on said loan. The better your credit score, the better rates you’ll get on your mortgage, which can save you tens or hundreds of thousands of dollars over the course of your mortgage. The first step to cleaning up your credit is knowing your number. 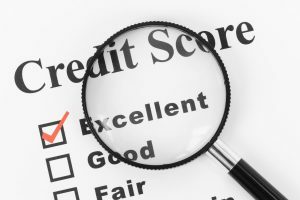 A recent survey conducted by LendingTree found that nearly 60% of Americans don’t know their credit score. Don’t be that person! Not knowing your credit score can ruin your chances of getting a loan. Most of the major credit card companies, like Chase and American Express, allow you to check your FICO score directly from your account interface. But you’ll also want to check your credit report for inaccuracies, so use a service like LendingTree or Credit Karma to get a more accurate picture of what’s going on with your credit. Once you know your score, it’s time to do damage control if necessary. Contact the credit bureaus to correct any misinformation on your credit report. If you have any delinquent accounts, pay them off. If you’re struggling to pay down your balances, look into consolidating your debt or working with a credit repair company to get your payments down and your credit back on track. 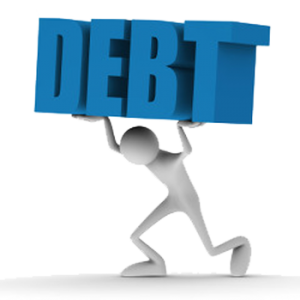 Once you’ve got your credit under control and are working to raise your score, it’s important that you don’t accrue any new debt. Credit inquiries can bring down your credit score, and large balances (like a new car loan) can make you look like a riskier borrower to lenders. If you’re on the market for your first home, keep your spending to the necessities and don’t take on any new debt. 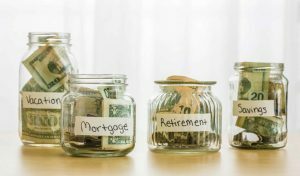 No matter which way you slice it, purchasing a home is an expensive ordeal, and while a mortgage certainly helps to offset the costs, there’s a lot of things you’ll need to pay for out of pocket. You’ll need a good chunk of the purchase price set aside to use as a down payment, money for closing costs, cash to cover moving from your current place to your new home… the expense list goes on and on, which is why it’s important that you have plenty of funds in the bank to facilitate the home-buying process without putting too much strain on you and your family. Talk to your lender about how much you should realistically have in the bank before you make the purchase. Then, do everything you need to do to hit that number before you buy your home. If you have trouble saving, set up an automatic transfer from your checking account to your savings account that pulls a certain amount from every paycheck to add to your savings. Immediately put any “found money”, like bonuses or tax refunds, into your savings account. Download an app like Digit that analyzes your spending habits and transfers small amounts into your savings – you won’t even notice it’s missing, and every dollar counts! One of the best weapons in a first-time-buyer’s arsenal is the right real estate agent. Working with the right real estate agent can make you fall in love with the process of buying home or make you wish you could go back to renting for all of eternity. When choosing an agent, you’ll want to work with someone who has experience in the type of property you’re looking to buy in your desired location. You’ll also want to work with someone who isn’t overloading with clients and who has experience working with first-time-buyers. You’re likely to have a lot of questions along the way, and you don’t want to work with an agent who’s too busy or frustrated to answer them for you. 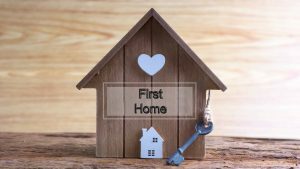 With these tips, you’ll be well on your way to making your dream of owning your first home a reality. Article by John Hamilton follow him on Twitter!